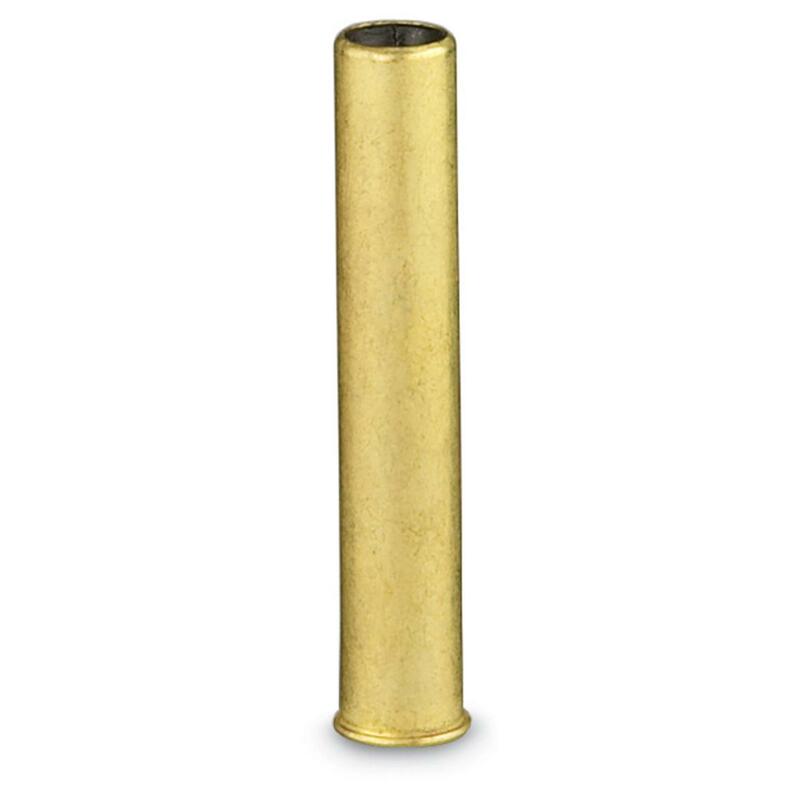 Sabot Slug Rounds for use in your Saiga® 410, Taurus® Judge, or other cylindrical firearm with a chamber length not less than 3". Brass-plated steel case, Berdan primer. 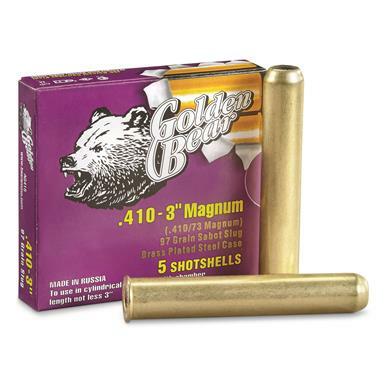 Golden Bear, .410 Bore, 3 , 97 Grain, Sabot Slugs, 50 Rounds is rated 4.1 out of 5 by 15. Rated 4 out of 5 by Hoss 63 from Varmint Control Keeps unwanted critters at bay! Rated 2 out of 5 by DanG from Not very reliable. Been shooting these out of a Bond Arms Snake Slayer 4. They're fun to mess with but they seem to have hard primers. Sometimes it takes 2-3 strikes to get the primer to fire off correctly. I've also had some shells split near the front of the shell, which makes spent rounds difficult to eject. For personal defense or hunting, ammo must be 100% reliable, and these have not been. They're fine if you're in a no-pressure situation just messing around at the range, but even then they're iffy. I will say the sabot type slug seems much more accurate than a typical rifled .410 slug, though. Rated 5 out of 5 by Dmenace from Saiga 410 I don't know for a fact if this ammo is specifically designed for the Saig 410, all I know is that the Saiga 410 devours these with out any issues. I have burned thru cases of this stuff without any problems ever. However I have had issues with other 410s that tried to use this ammo. And I have had issues with other ammo in the Saiga 410.... Just my experience. Rated 5 out of 5 by BILLY N from Great slug took them out the day after I receiced them good solid shell well made, outstanding price.